We understand that decisions are made in a flash and sales are closed quickly. In today’s fast-paced business world, you can’t afford to have missed calls and delayed responses. Technology Plus is an authorized NEC and Allworx Dealer, and we offer customized solutions to fit your needs and your budget. Our Telecommunications department works closely with our I.T. department to ensure that both voice and data information integrate correctly to keep you in touch with your customers. Whether it’s 2 handsets and 2 incoming phone lines or 200 handsets with multiple Primary Rate Interface (PRI) circuits, we’ll make sure you’re taken care of. Growth is great for you and your business, and sometimes it means upgrading your phone system. Technology Plus is an authorized reseller, which means we can help you find the best telephone system for your company and get you set up with it. Because telephone systems now use the same cabling and data infrastructure as your computers, it’s important to work with someone who understands how these technologies work together. That’s where we come in. We’re always dedicated to providing you with a unified communications solution. Whether your office is currently using a traditional phone system or the newest VOIP (Voice Over Internet Protocol), we have the experience and the products to make certain you stay in touch with your customers and staff. It doesn’t matter if you have a single office or a multi-branch set-up that spans several states — we’re committed to providing exceptional support for all of your telecommunication needs. Moving offices? We understand how important your relationship with your customers is, and you can’t afford to miss calls or messages because your phone system gets muddled up in the moving process. 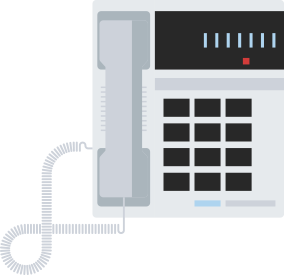 We can help you transfer your current telephone system so you don’t miss a beat. We’ll skillfully uninstall your current system, move it to your new location and have you up and running in no time. And of course, we’re always available for telecommunication assistance and support — even after the relocation is complete.